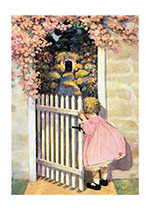 INSIDE GREETING: You are as young as your dreams. Happy Birthday! 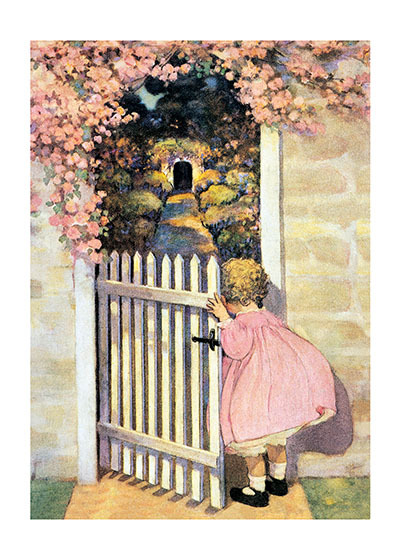 Jessie Willcox Smith is a revered American illustrator, here she shows a girl entering a secret garden, her dress beautifully matching the flora.